When I was in Hong Kong last week I found organic coconut oil on sale. I’ve been doing a lot of research on the Paleo diet for while I’m in Consolidation. I have no plans on ever eating wheat again. EVER. So i think Paleo will work well for me. One of the oils you find in Paleo recipes is coconut oil. It is zero carbs, but a bit high in fat. I typically won’t eat something if the fat is more than 9 grams. This coconut oil is 14 grams of fat per Tablespoon. 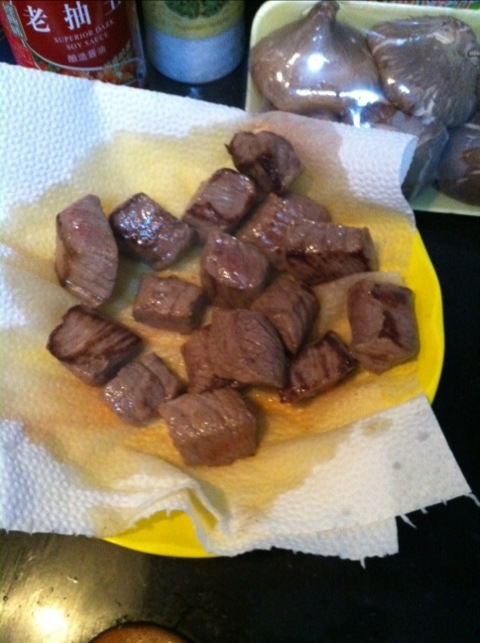 So, this is technically NOT a Dukan recipe, but it is a good fat, and if you’re using very lean beef, it should be fine. This is definitely Atkins, low carb and Paleo friendly. 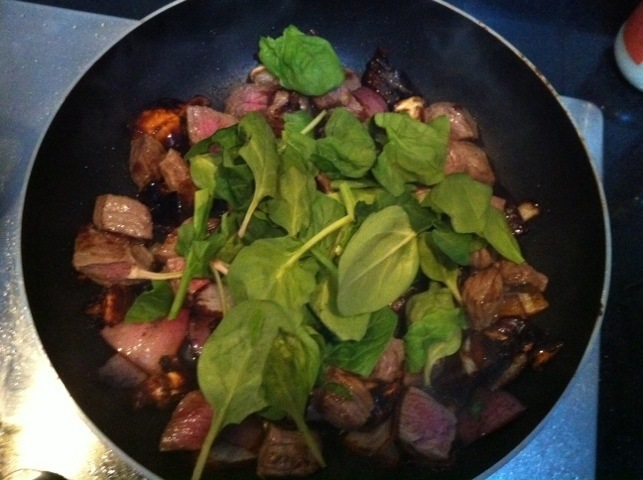 Remove beef and drain… Set aside. 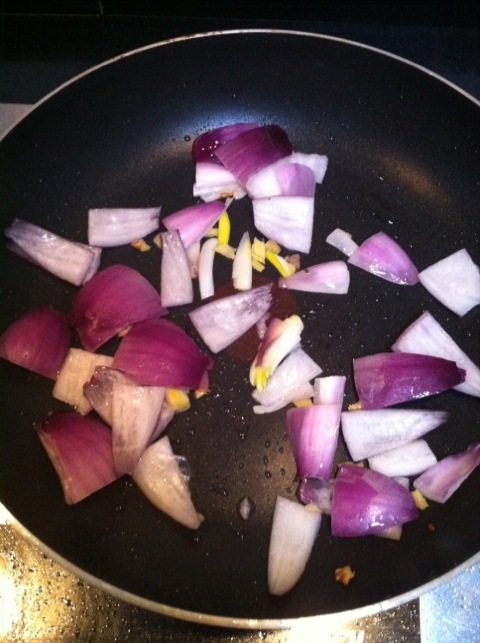 Melt 1/4 Tbs coconut oil over medium heat and sauté the onions and ginger for 2 minutes. 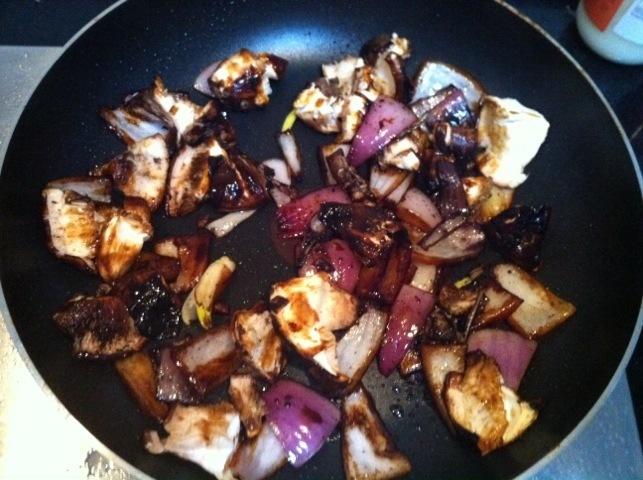 Add the mushrooms and sauté for an additional minute. Add soy sauce. Stirring frequently. 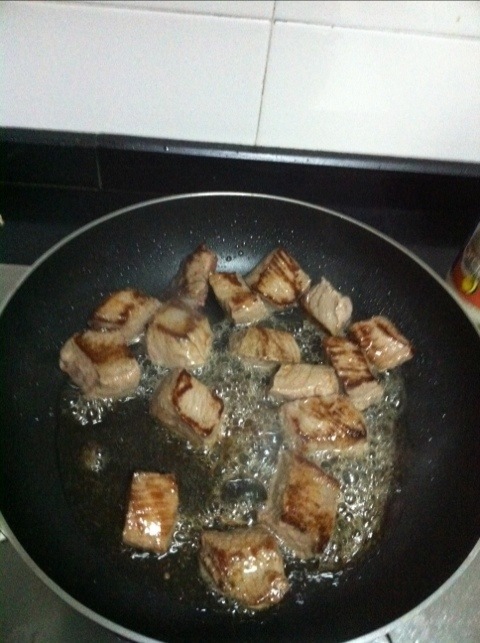 Add the beef back into the pan, stir. Cook 1 more minute. 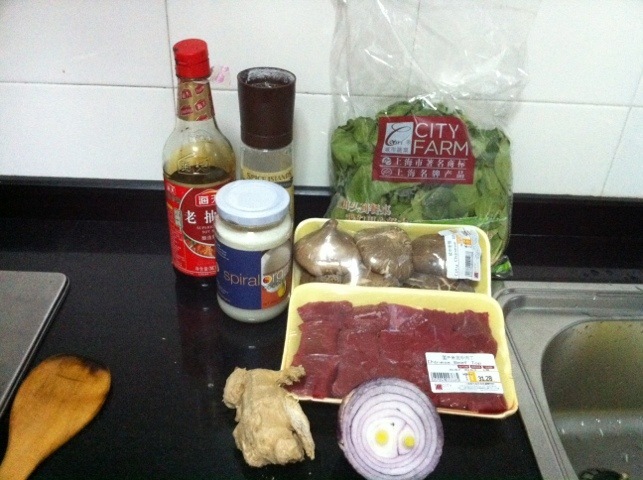 Give a good stir, cover 1 minute and Serve! This was super easy to make and it was yummy! 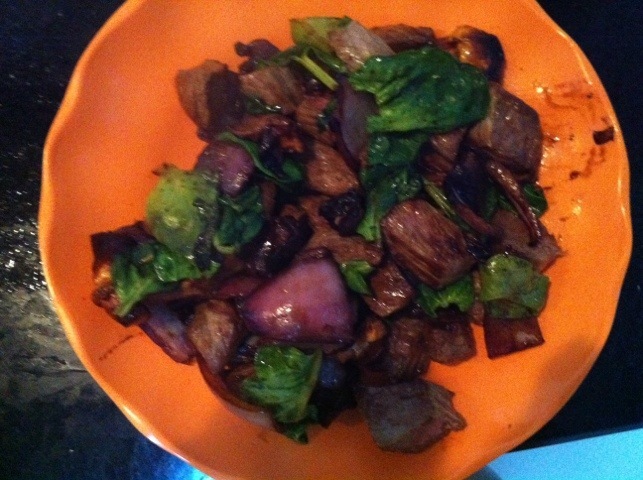 This entry was posted in Dukan Diet, Weight Loss and tagged Atkins, coconut oil, Dukan diet, dukan recipe, gluten free, low carb, low carb recipe by flamidwyfe. Bookmark the permalink. I think you’ll love it! The spinach was divine!